New Listing Price is below the most recent appraisal. Very few ranches come onto the market. 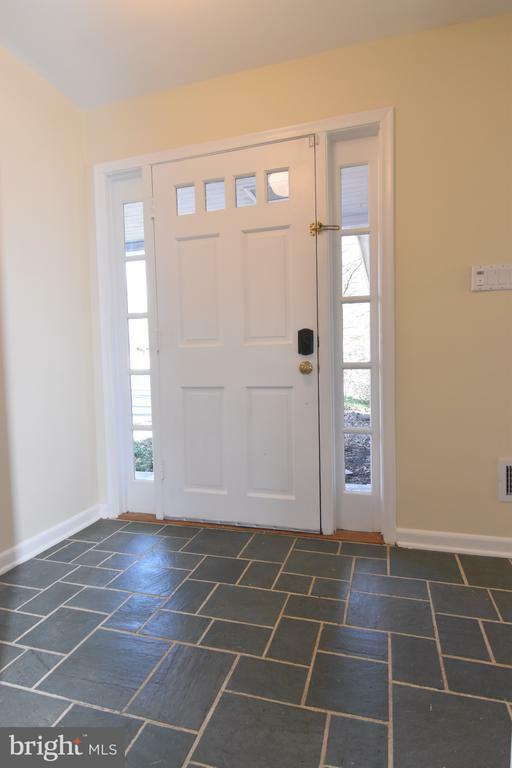 This is a solid brick ranch with updated windows, professionally painted, newer roof in 2015, newer septic in 2015 with 2 fireplaces and 1.90 acres of land-one of the largest lots which is mostly wooded so minimum grass cutting. Stream and pond on this oasis of a lot. The views from the over-sized windows in LR and FR are stunning! Cozy on up and enjoy the fireplace either in the LR and/or FR. Kitchen presents itself as a quaint Country style kitchen that has some updates; some stainless-steel appliances, double wall oven, granite counter-top, recessed lights and a breakfast nook. Master bedroom is spacious and includes a walk-in closet and full shower stall en-suite bathroom. Three other full-sized bedrooms and full bathroom finish off the main level. This is where you need to add your personal touch; bathrooms are a bit retro in colors and design, but the tile is in fantastic condition. Refinish the hardwood floors and maybe add color to the overall neutral palette. Lower level has a massive FR with the fireplace. Off the FR is a space that could be used as an office. Then you have a powder room on this level and enormous amount of storage in the unfinished area. Outside access to a large brick patio completes this home! Natural gas hook-up is on site and ready to go if you want to make the conversion. Pool Bond for the North Star Swim Club will be transferred to new buyers. Location is incredible as its tucked away in nature but close to everything! Are you the one to see the vision and move forward? Take this home to the next level! Inclusions: All Appliances- All "As-Is"